If people knew the wonder and beauty of the UK’s marine habitats they would want to protect them. The life of a conservationist often feels like one long struggle, taking little-known challenges and trying to make them mainstream. How do environmental issues move from niche interests to global concerns? The explosion of action on marine plastics has been a success story on an unprecedented scale. Film producer Jo Ruxton spent years raising funds and doing research for her film A Plastic Ocean, described by David Attenborough as “one of the most important films of all time”. But it was not until last year’s Blue Planet II series, and the plastics campaign by newspapers, that concerns around marine litter began to be more widely shared. Having worked in conservation for more than 20 years, I was delighted by the sea-change in attitudes. But, like other environmentalists, I am concerned that other challenges are not getting the attention or resources they need. This isn’t about downplaying the threat of marine plastics, but about how we can learn from the plastics story and apply these lessons elsewhere. Crucially, all those involved in communicating what is happening to our seas must seek to inspire people as well as alarm them. The makers of the BBC’s Blue Planet Live, which started on Sunday night, understood this when they chose to present Chris Packham’s joyous encounter with whales off the coast of Mexico along with segments about attempts to regrow the Great Barrier Reef, and endangered sharks. There is cause for concern closer to home, too. Around the British Isles we have some fabulous marine habitats. 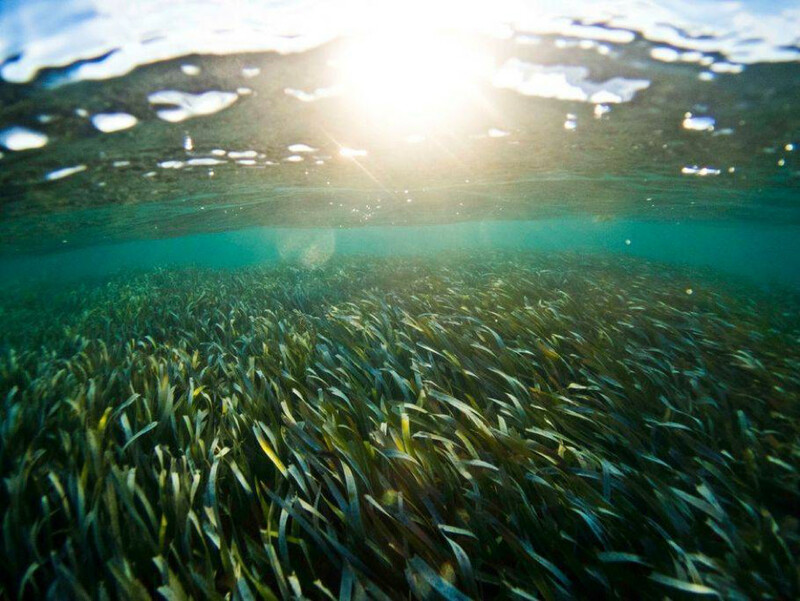 Seagrass meadows store carbon and are a secret weapon in the fight against climate change. Horse mussel reefs keep our seas clean and provide nursery areas for the young of whelks and other shellfish. Having grown up by the sea on the Isle of Man, I have been excited by beautiful, diverse, life-giving marine habitats all my life. Their loss is one of the main reasons behind our current extinction epidemic. It frightens me more than anything else apart from climate change. But if nobody knows about the importance and wonder of these habitats, no one will join the fight to save them. And there is good news as well as bad. Marine habitat protection is becoming better understood and momentum is building. There has been encouraging progress in establishing marine protected areas. The point of these is to prevent damaging activities, allowing habitats to restore themselves naturally, and to intervene using active restoration when habitats have been damaged beyond the point of natural recovery. Last week it was announced that Ascension Island (part of the UK overseas territory of St Helena, Ascension and Tristan da Cunha) will be protecting more than 171,000 square miles (443,000km2) of its waters as a no-take marine protected area. No-take zones are the gold standard of marine conservation and studies from around the world have demonstrated how they allow natural ecosystems to recover and bring benefits to the oceans beyond. In the UK there are nearly 300 marine protected areas in place and consideration of a further 41 new marine conservation zones is under way. Results are also beginning to emerge from experiments showing that a high level of protection is possible, even in the busy waters around the British Isles. Project Seagrass, based at Cardiff University, has been raising awareness of seagrass in the UK and around the world and has developed a seagrass spotter app for scientists and the public to record their sightings. They promote the value of seagrasses not only for biodiversity, but also for their role in mitigating climate change. 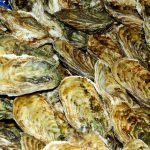 The Native Oyster Restoration Alliance is a network of European scientists and conservationists involved in restoring the extensive oyster beds that were once found all around north-west Europe. After decades of work by oyster specialists to highlight the value of restoring this habitat, European native oyster restoration is really taking off. These captivating habitats have been neglected for so long because very few people see them. There has been a persistent misconception that the waters around the British Isles are usually dull, murky and devoid of life, which couldn’t be further from the truth. But without a personal connection to these beautiful alien worlds, it is difficult for decision-makers and the public to prioritise healthy habitats over other uses of the seabed. We are beginning to understand how the impacts of plastics go beyond the obvious harm to marine life, polluting our food and disrupting natural processes. Now we also need to turn our attention to the essential role of our marine habitats in supporting fisheries, cleaning coastal waters and helping to regulate our climate – and act now to protect them for the future. This article was originally posted as The Blue Planet effect: the plastics revolution is just the start at The Guardian on 25/03/19.